Aspiring filmmakers will have the opportunity to learn from leading industry professionals, Kevin Fox (Co-Executive Producer on NBC’s Law & Order: SVU) and Bruce McKenna (Co-Executive Producer and writer on HBO’s The Pacific and Band of Brothers). Join us for an intimate interaction where they share insights on trends, production processes, and their personal careers. Bruce McKenna, Writer/Producer, will discuss the creative decision-making process, in addition to insight on career challenges and collaboration between directors and producers. Open discussion with Mr. Fox & Mr. McKenna about career challenges and collaboration between the creative team. 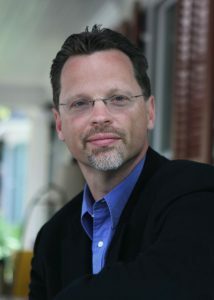 Bruce C. McKenna is an award-winning screenwriter and producer. He wrote on four of the ten episodes of HBO’s Emmy award-winning mini-series Band of Brothers, for which he garnered a WGA Award, a Christopher Award and was a finalist for the Humanitas Prize for his episode, Bastogne. He created, co-wrote and co-executive produced The Pacific, the Emmy award-winning mini-series for HBO, Steven Spielberg and Tom Hanks on the Pacific Theater of the Second World War. In addition to winning a producing Emmy, McKenna was nominated for his second writing Emmy, was again a finalist for the Humanitas Prize, and garnered a Producer’s Guild Award, a Critic’s Choice Award, as well as the Marine Corp Heritage Foundation Bill Broyles Image Award. McKenna has sold several original pitches and has written numerous studio film assignments, including an adaptation of Once Upon A Distant War for Bruckheimer Films and The Perfect Mile for Kennedy/Marshall and Universal. Among others, he has worked with Ridley Scott, David Fincher, Frank Marshall, Frank Darabont, Wolfgang Peterson, Steven Spielberg and Tom Hanks. He is currently developing a mini-series on Peter the Great for Bold Television, adapting Hampton Sides’ Kit Carson epic Blood and Thunder for Ridley Scott, and is adapting All Things Possible, the Kurt Warner story, for Fox Studios. Last fall he served as a Gould Center Visiting Fellow at Claremont McKenna College where he taught a seminar on writing adaptations for the screen. Kevin Fox – writer/producer/showrunner. Kevin has been a professional writer for over twenty years, beginning with the sale of the feature script Fire & Rain to New Line Cinema in 1995. He has worked in film, television, graphic novels and novels. As a feature screenwriter, Kevin’s credits include The Negotiator, starring Samuel L. Jackson and Kevin Spacey, as well as dozens of feature scripts for producers such as Jerry Bruckheimer, John Davis, Barry Josephson and Joe Roth, including a vehicle for Julia Roberts. Kevin has also worked with directors John Woo, John McTiernan, Tim Robbins and F. Gary Gray. 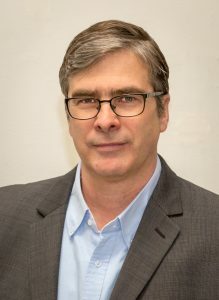 In television, Kevin has created, executive produced and served as show runner for a pair of dramatic series, Ryan Caulfield and Queens Supreme, for FOX and CBS respectively. He has created, developed and sold over a dozen pilot scripts for a wide range of producers including DC Comics, Denis Leary & Jim Serpico, Kiefer Sutherland, McG, Ashton Kutcher and Kelsey Grammar as well as for studios including Sony Television, Warner Bros Television, Lionsgate, CBS Paramount and Twentieth Century Fox. Kevin wrote and produced for the Tim Roth starring vehicle Lie to Me on FOX and recently completed a five-year run as a Co-Executive Producer on NBC’s Law & Order: Special Victims Unit, where his work was nominated for the prestigious Edgar Award in 2015. He is currently developing a scripted series with MGM Television, inspired by and featuring the complete musical catalog of Billy Joel, and is also developing a broadcast legal drama set in the Hollywood Legal world with MRC and The Hollywood Reporter.